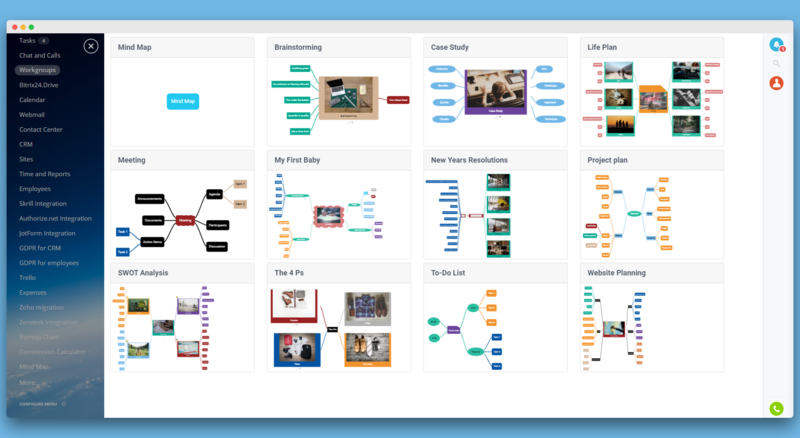 Mind Map allows you to create mind maps to improve visual presentation of personal or team objectives. In addition to standard Mind Map app features, you can assign users, create tasks and events - all associated with your Bitrix24 account. Attention! 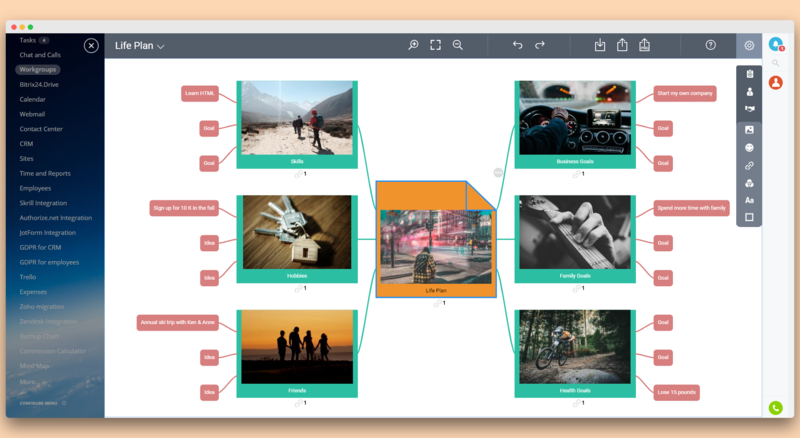 You can enter into the Mind Map app from a Bitrix24 workgroup. Background. Map and node background. Font. Map and node font. Export and import. Export Mind Map, import Mind Map, export Mind Map to png format. Fast switching between mind maps via dropdown list inside the Mind Map app. Change owner. 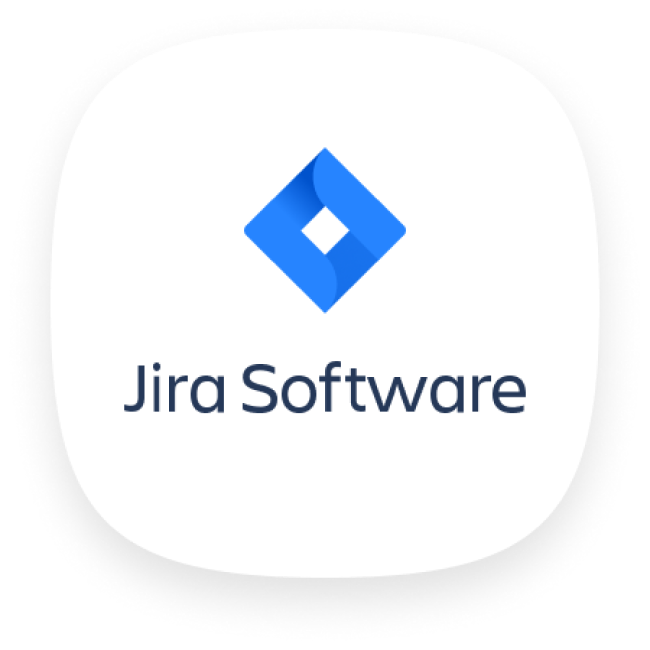 Available at the login page. Delete. Available at the login page. 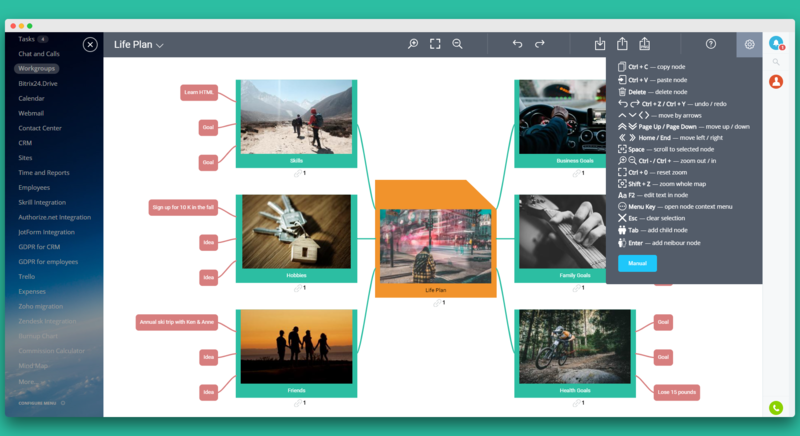 Full access to editing is available to a Mind Map owner (who is also the creator of a specific Mind Map) as well as to Bitrix24 account administrator. Bitrix24 account administrator can change a Mind Map owner/creator when full access to editing is required. For users who are not owners of a Mind Map, read only mode is available. 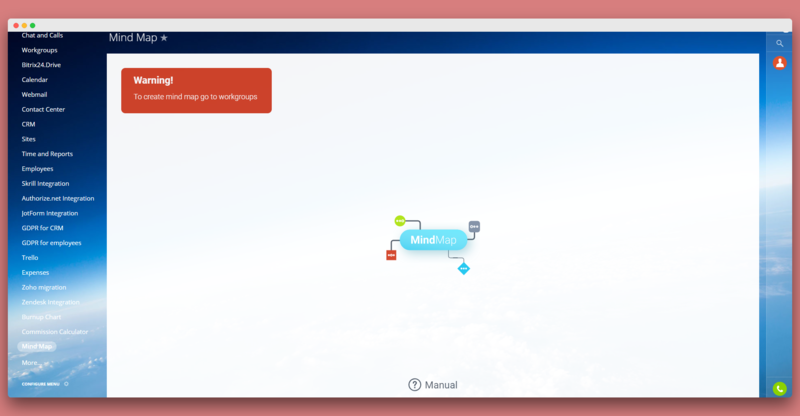 The user can export and view a Mind Map at the login page in the read only mode. Now customized connections can be created between nodes. Option to copy nodes with subnodes is now available. Other minor app issues fixed. 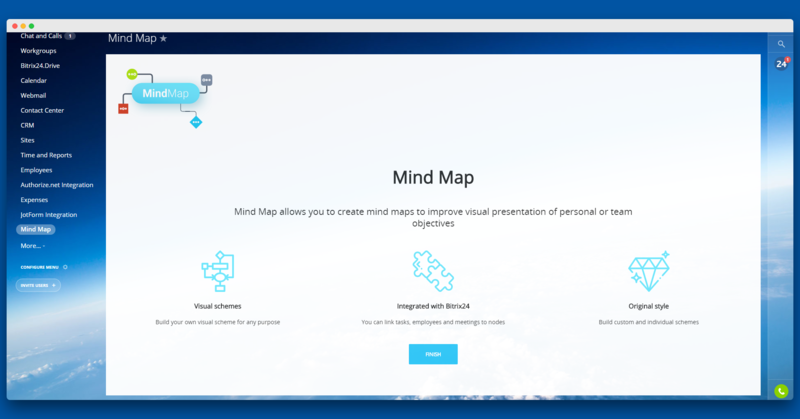 Mind Map allows you to create mind maps to improve visual presentation of personal or team objectives. Complete standard installation procedure from Bitrix24 Marketplace.